Pete's Dragon director David Lowery talks tone, trauma and three things forbidden in Disney films! David Lowery talks Pete's Dragon, Peter Pan and the three things Disney contractually forbids you from including in one of their movies! Ahoy, squirts! Quint here. Pete's Dragon was the first film I ever saw in a movie theater. It was back in the day when bringing a film out of Disney's vault meant they were re-releasing it in theaters, not issuing a new higher def version like it is now. VHS was just becoming commonplace. It's hard to express to the following generation how big of a deal these Disney re-releases were. It was an event to see Cinderella on the big screen again, complete with fast food tie ins. I was able to catch Song of the South in its last theatrical release before Disney tried to disappear it forever. It was special to see a Disney movie on the big screen in a way that it isn't today, so even if I don't remember specifics about that first time in the theater, I do remember a feeling of magic as a huge, bright screen welcomed me into a new world. I still adore the original Pete's Dragon. Call it nostalgia or call it an appreciation for the absurdity of that big, goofy, bumbling movie filled with catchy songs and a whole lotta heart. Both are probably right, but I'll always love this flick. David Lowery, an indie director, took on this unlikely remake and made something special. This Pete's Dragon has all the heart of the original without the goofy for-kids-only stuff, yet it's Disney through and through. I got to sit down with Lowery and his writing partner Toby Halbrooks after the local premiere of the movie, which was at Austin's long-standing Movie Palace. I was able to bring my two nephews to the premiere and they were both very interested in how the kids liked the film. We talk a bit about that, how they found the tone for this movie, the trauma at the heart of every good Disney story, how their approach is different for their pending Peter Pan adaptation, the three things you are contractually obligated to leave out of any Disney movie and, most importantly, how I get to take credit for the end of their Pete's Dragon. Quint: Did you watch any of the movie with the crowd at the Paramount? David Lowery: I watched up until the title. I can't sit through screenings anymore. I've seen the movie almost 50 times, which isn't that many, but I know what it is, I'm content with what it is. Every now and then I'll pop in and maybe in the future I'll look at it with an audience, but right now I'm ready to not watch it for a little while. I'll let everyone else watch it! Quint: Does it give you anxiety, watching one of your films with an audience? David Lowery: Yeah. I know from past experience that I can't sit still. When my last film premiered at Sundance I made it through about maybe 45 minutes and then had to go pace around the lobby. You do get that growing sense of nervousness with each minute that ticks by. There's no reason to put yourself through that! Quint: Well, I can tell you from my experience that my group loved it. The five year old wasn't as fidgety as he usually is and the nine year old spent the whole movie leaned over to one side because a tall lady sat in front of him. He's not used to non-stadium seating. David Lowery: He should probably go see it again. That's the solution to that problem! Quint: You know how much I adore the original. David Lowery: Yeah. You're the prime example of someone who grew up with the original and hung on to it. I remember you have that original animation cel. Quint: Exactly. What I love about the original is that it's very much of it's time. It's goofy, it's broad. I think what you made is a great companion piece because you hit some of the same emotional notes, but it's not at all a goofy, broad movie. Like, in the original the Gogins are the most one-dimensional stereotypical white trash hillbilly people and here the closest thing you have to a villain is Karl Urban's character and he's not at all a bad guy. I'd like to talk to you both a little bit about finding this version of your story that is way more layered and down to earth while not ignoring the emotion the original brought out in people. David Lowery: The tone was something that was always there, but it became more refined in post-production. I love a movie that contain a multitude of tones. I love when a movie can be heartfelt and sincere and incredibly realistic and then go in a completely crazy, wild, unexpected direction. I don't love tonal inconsistency, but I love tonal variety, so I wanted this movie to contain some of those multitudes. We definitely shot stuff that was goofier than what you saw. 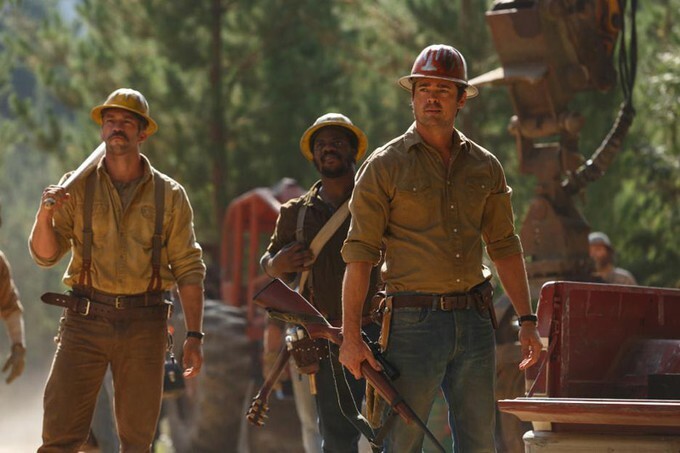 The three lumberjacks who follow Karl Urban around everywhere... we shot a lot of stuff with them and gradually it just sort of wound its way out of the movie. Partially because of pace, but also because the tone was such a delicate thing. We felt the slightest abrasion could jeopardize the rest of the movie. Leading into that chase at the end, especially with Karl and the “bad guys” finding the right amount of goofiness or the right amount of bravado or the right amount of crazy car chase excitement was a real delicate balance that we were refining until the last second. Quint: Was a remnant of the goofier version the moment with the Deputy shouting “it's a dragon! It's a dragon!” into the radio? It's a moment that's in all the trailers and TV spots, but this audience roared with laughter at it. David Lowery: That's very indicative of it. That was in every draft of the script and has always been a part of it. Quint: You need a laugh, especially at that moment. The movie's pretty heavy. I think people forget that kids movies used to be heavy. David Lowery: Yes, they do forget that. Quint: We've had 30 years of Shrek and other big, loud, bright movies that's taken over as “kids movies.” But even the goofier Disney stuff is pretty heavy. David Lowery: We wanted the movie to start off feeling like The Black Stallion, veer off into Ernest Scared Stupid and then wind up in the most heartfelt place possible. The Ernest Scared Stupid stuff was tricky. (laughs) We still got the dragon sneezing on someone, covering them with snot, but we definitely tried to balance all the heart and the heaviness with humor and excitement and crazy escapades. Hijinks. We wanted there to be hijinks in this movie. At a certain point there were people who asked “Do you need to have the entire town chasing them in the car chase at the end? Is that too big for this movie?” My answer was always, “No, this movie can get that big and that fun,” because it just got through being one of the most devastating movies children will have seen in a theater this year. We needed to bounce back from the dragon being shot out of the sky with a really fun, exciting car chase. Still, getting from Point A to Point B was tricky and was a process of really carefully ironing out everything so it felt like one movie. Quint: We need to talk about the way you guys opened the movie. Trauma is an early Disney trope, whether it's Bambi's mom getting shot or Dumbo's mom getting locked up... Parents in Disney films are either evil or taken away. David Lowery: Yeah, there's no good ending for them. Quint: I think the way you visually executed the car crash at the beginning is pretty fantastic. I knew the 9 year old would be fine with it, but I was curious how the younger one would react, if it'd shock him or not. I read the script, so I knew what was coming, but I didn't know how brutal the car accident was going to be. Toby Halbrooks: How did he react? Quint: He was more absorbed into the story than freaked out. David Lowery: A lot of it was trusting ourselves to remember what we responded to as kids and what was too much for us, what was too scary. I felt that the movie needed to go to a really dark place early on. The dragon was our safety net, the light at the end of the tunnel, but you had to go through a really dark space to get to the light at the end of the tunnel. We felt like we could make things a little more magical, a little more surrealistic and the kids could handle it. The wolves are very impressionistic. You see a little bit of them. We were adamant that we get real wolves and not do it all CG, but we still treat them more like the wolves in Beauty and the Beast. It's a little bit magical, a little surreal. We let the car crash itself be a little impressionistic as well so that we're not hitting kids over the head with something gruesome or horrible. Quint: What I was impressed with is you resisted the urge to make it a shocking moment, a jolting moment. You instead slowed everything down and focused on Young Pete. David Lowery: And showed everything from his perspective. You know, there was some concern on everyone's part that it wasn't clear that the parents died. There was a discussion of doing a pickup shot showing a hand, or maybe a little bit more, but I felt like if we had done that we would have broken that promise to the audience that this movie is going to get dark, but not too dark. I think we would have scarred some children, to be frank. Quint: You chose a very realistic tone. The photography, the lighting, it's all very grounded, which is a very different approach. The original is more like Mary Poppins, which shows a cartoon version of London. The original shows an exaggerated, cartoon version of a New England fishing town. 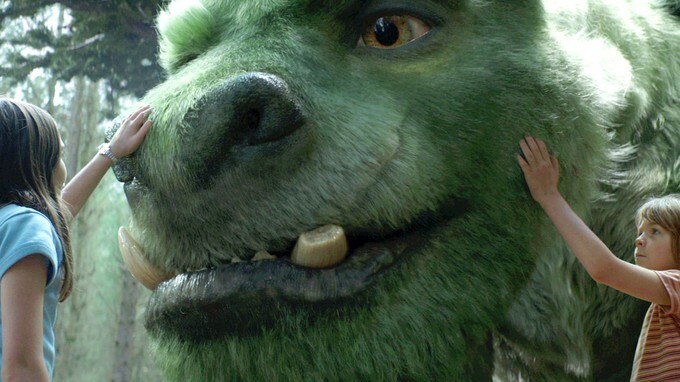 This movie is recognizably our world... even with a big, furry green dragon in it! David Lowery: Exactly! To make that big, furry green dragon work we felt everything else had to be as grounded as possible. Quint: When you have that tone, that's when it becomes dangerous to show the more gruesome stuff. Quint: The Artax scene, right? Quint: And even looking back I bet you still have some kind of fond memories of even the trauma. Quint: Kids like to be scared, they like to be challenged that way. At least I did. I know I look back fondly on movies that were dangerous, that caused a big pit of dread in my stomach when I hit play on the VCR. David Lowery: There's a difference between presenting an audience, especially children, with things that frighten them and terrify them and with something that emotionally engages them. When you emotionally engage them you can do that with happiness, you can do that with joy, with wonder and you can also do it with fear and sadness. You can engage them with respect to their emotional intelligence and you can push boundaries there, but you can't bludgeon them with something awful. You're letting them know that darkness exists, that bad things do happen in the world, but you're also making a promise that things are going to get better. That's what the entire pre-title sequence is designed to do. It's sort of a road map to entire movie. It introduces sadness, it introduces joy, it introduces wonder, it introduces magic and it lets audiences know what they're in for for the rest of the film. Quint: We've talked a little bit previously about the kinds of callbacks one usually expects in a remake. You mentioned you briefly toyed with doing a new version of Candle on the Water over the closing credits, but decided against it. I think you can get away with that on a movie like this. I love Pete's Dragon, but it's not like most audiences know the original backwards and forwards and are expecting you to hit certain landmarks. Your next Disney project is a live action Peter Pan, which will not afford you that luxury. Toby Halbrooks: Yeah, it's exactly the opposite. Quint: We know Jungle Book was a pretty successful straight forward remake with some of the music and Bill Condon is coming out with Beauty and the Beast, which one presumes will be a musical. Do you feel more of an obligation to go into Peter Pan being more faithful to the source material because it is such a Disney animated classic that is known by just about everybody? David Lowery: We absolutely do. 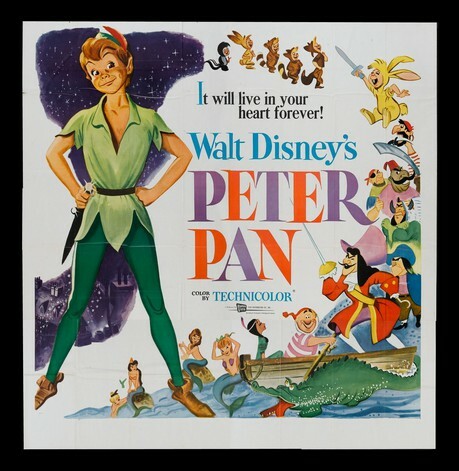 Now we're dealing with a crown jewel of the Disney library and sort of the definitive version of Peter Pan. At the same time we have to figure out a way to make it ours. The balancing act that we now have to... Every movie we make is a balancing act! I keep using that term! We always seem to try to replicate the Man On Wire experience creatively. I think we want to make a version that is true to people's memories of Peter Pan and those memories are much fresher because it's such a legendary story. At the same time we want to make a movie that's our version of it. Finding that balance is something we're in the process of doing at this. We've got our computers up in our rooms with the script open at this moment. I love that story. It meant so much to me growing up. The scene in ET that I remember the most is when Dee Wallace Stone is reading it to Drew Barrymore. That isn't something I take lightly. I don't take lightly how important this story is to audiences, how important it is to me, and I want to make sure if we're going to make a version of it that it matters. I mean, It's been done before. The 2003 version is great. I love it. The PJ Hogan version. So, if we're going to step into waters that have stepped in by many great filmmakers in the past we need to make sure we have a reason to do it. And I think we do. But we're also at the same time figuring it out as we're going along, so we're fumbling towards what we think is the right way and I think we're getting that, but it's definitely something we're being very careful with. Quint: Well, you're running through all my favorite Disney classics. Pete's Dragon is up there, Peter Pan is my second favorite Disney Animated movie, so that naturally means at some point you have to make a live action Pinocchio. 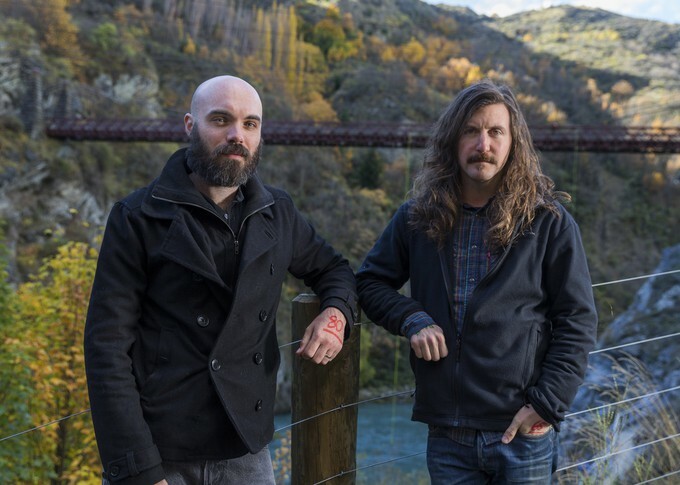 David Lowery: I can't. Pinocchio was the first movie I ever saw. That one is too close to home for me. Quint: I also don't know if you could pull it off in live action. Some have tried and it's been horrible. David Lowery: And you can't have smoking anymore! 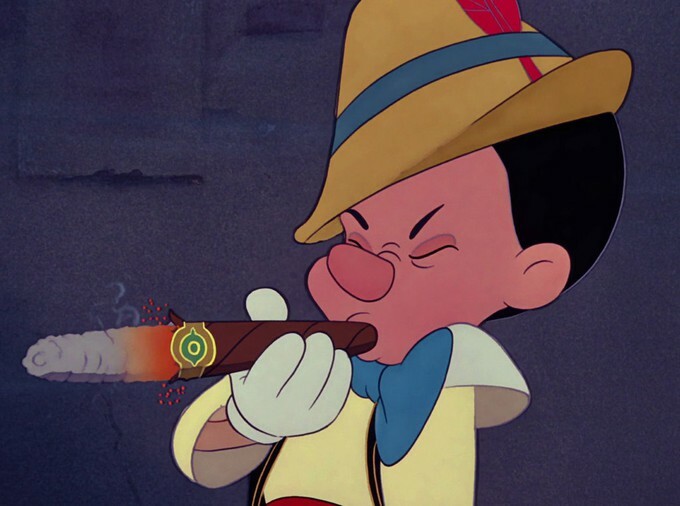 The scene in that movie that had the biggest impact to me was Pinocchio smoking a cigar and turning red. 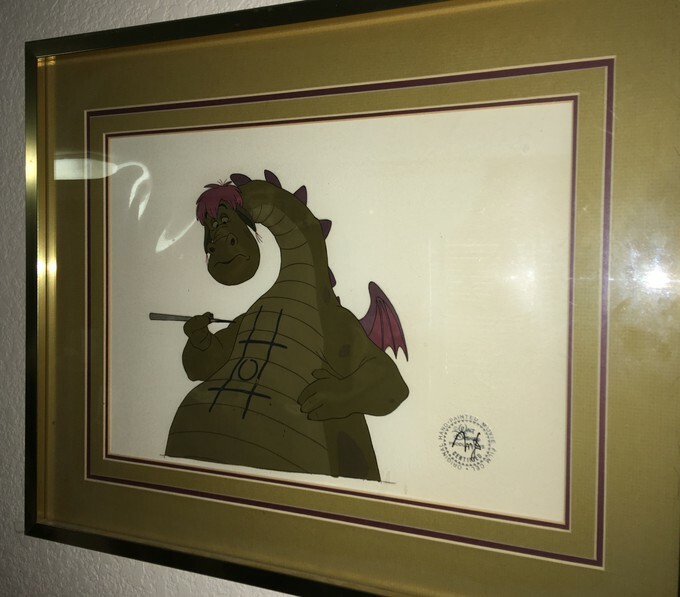 When you sign a contract with Disney, the things it says your film cannot have are beheadings, impalement or smoking. Those are literally the three things you are not allowed to put into a Disney film. Quint: There's your remake of Pinocchio. You just gotta impale Gepetto while he's smoking, then cut off his head. The three things will cancel each other out. David Lowery: (laughs) Maybe so. Maybe if you do all three you can get away with it. But yeah, they literally have those words in the contract as things you're not allowed to do and that rules out Pinocchio, which has the smoking. David Lowery: Real quickly, I'm curious. When you were on set you were there for the saying goodbye scene at the end. David Lowery: I'm curious as to what your impressions were watching it on set versus seeing the finished version. Did it feel like it was going to work back then? Quint: Yeah, it worked for sure. My biggest takeaway from that day on the set was how Oakes Fegley was as an actor. Between shots he was just a normal kid, kinda bouncing around happy-go-luckily and then “Action!” and tears, quiet emotion, then “Cut!” and back to bouncing around again. David Lowery: He totally was that way. It was amazing. Quint: I will say that the final version played better than I thought it would, but that's not because I thought you screwed it up while I was on set. It was being able to see the character animation in Elliott reacting to what Oakes brought that sent it home. David Lowery: I have to admit, I felt very self-conscious knowing you were there watching it. 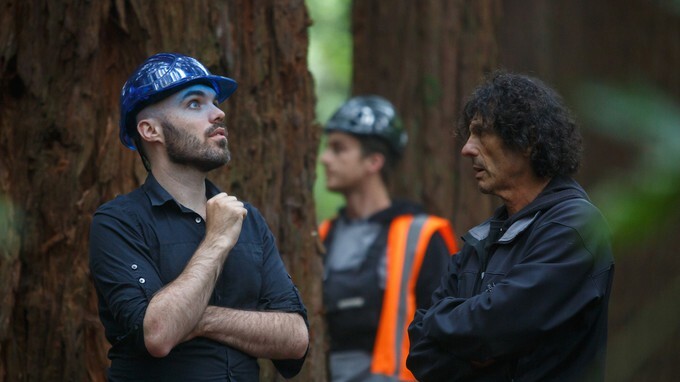 I think you were the only person to visit the set that wasn't intimately familiar with the entire production. My wife visited, my mother-in-law visited, but having you there that day I was like, “I hope this feels like it's working!” It definitely put us all on our best behavior and I think it probably made the scene better. Quint: So what you're saying is that if you tear up at the end of the movie then you can thank me. David Lowery: Exactly. You can take credit for it! And I will! When you cry at the end of Pete's Dragon it's my fault, so says the director! I'm a big fan of this director's work, dig what he did with one of my most cherished childhood pictures and can't wait to see what he gives us in the future. Hope you guys enjoyed this chat! If you want more insight into the behind the scenes of Pete's Dragon stay tuned. Over the weekend I'll be posting up a little something from my set visit. Since I was there for stuff that literally happened in the last 5 minutes I figured I'd at least give you guys a chance to see the movie before I talk in-depth about it.